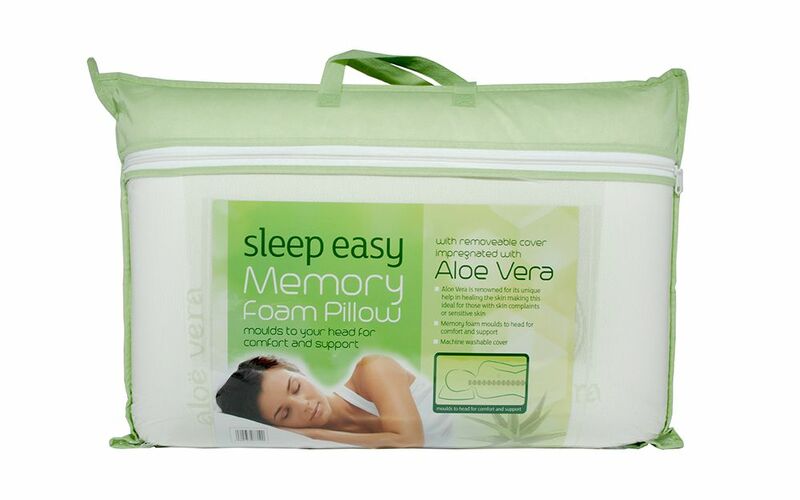 The Aloe Vera Memory Foam Pillow features a cover infused with soothing aloe vera. The medium to soft memory foam moulds comfortably to your head and neck for long-lasting support and pressure relief. This pillow is hypoallergenic and perfect for allergy sufferers or those with sensitive skin. Order now for Free Next Day Delivery!